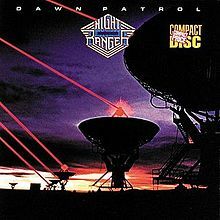 The debut album, “Dawn Patrol” from Night Ranger would spark off a great debate that would last for several years. 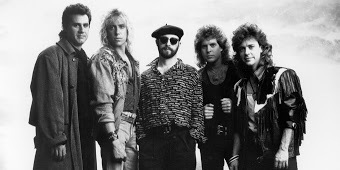 Were Night Ranger a heavy metal band? My opinion on this question lies in the fact that I am visiting the album in my great rock albums section and not the great metal albums one. However, the problem back then was with mainstream radio. Many deejays were to quick to put any music with a hard power chord into the heavy metal category thus infuriating metalheads like me for a number of years. For me, the answer to the debate would be solved with Night Ranger’s 1985 album. Another reason why I don’t class Night Ranger as metal is because the first time I heard their most well known song, “Don’t Tell Me You Love Me,” I thought it was being sung by Rick Springfield. You have to admit, the chorus is very much like Springfield and when that mind blowing guitar solo came in, I simply assumed that he managed to find a great lead guitarist to play on it. Well, I was partially right because both Jeff Watson and Brad Gillis are great guitarists. 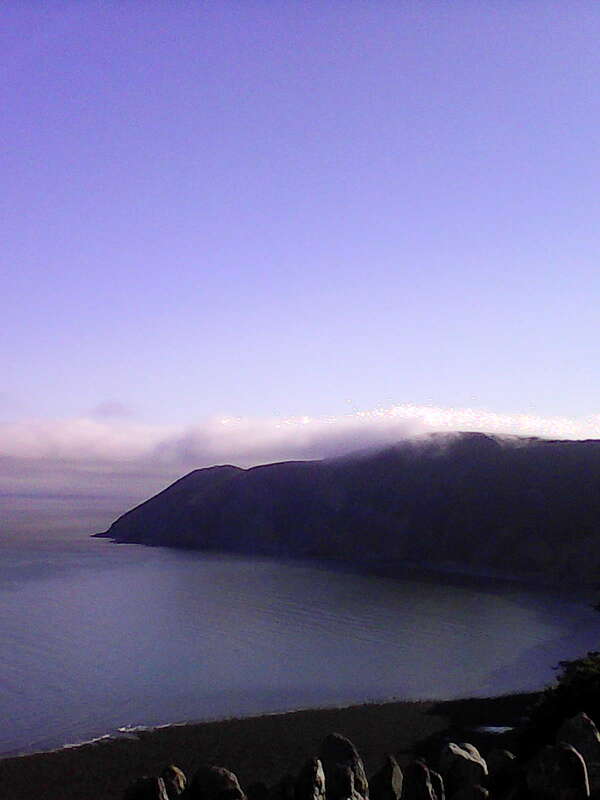 “Dawn Patrol” is for the most part a good hard rock album but does venture across the border into progressive rock. The mentioned big single is a great rocker in spite of my earlier comments about it being a Rick Springfield tune. Three and four years later, it was still played every Friday night at the heavy metal night at a club on the outskirts of East London. 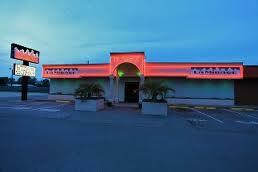 That club is a McDonald’s now but that’s not important. 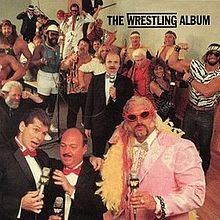 However, the album boasts other hard rocking jams as well. 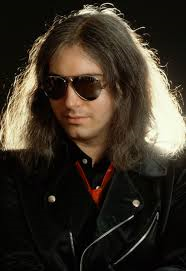 “Young Girl in Love,” “Penny” and “Play Rough” to name just three and I would be quick to put forward “At Night She Sleeps.” Then there are less hard songs like “Sing Me Away” which is keyboard dominated. 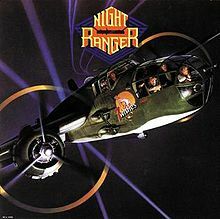 Whatever category you want to put Night Ranger in, you can’t get away from the fact that these guys can really play, especially on this album. 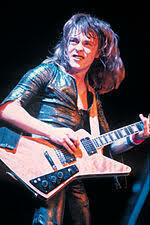 Night Ranger, in my view, were never heavy metal. They were a great hard rock band in the early 1980s, which their debut album clearly shows. True, they would go more commercial with later albums and turn metalheads like me off of them, but “Dawn Patrol” is more hard rock than anything and it 1982, got people like me excited. Having listened to the album again after so many years, (that’s one major plus in writing this blog) I have come to the conclusion that it isn’t the commercial rock that I associate with Rick Springfield later on in the decade. “Working Class Dog” is far from a metal album but it is an enjoyable rock album. There are some decent rock tunes on it and I’m not just talking about the forementioned famous hit. There is the more minor hit “I’ve Done Everything For You,” which is a good song on it’s own right, except Twinkles never danced to it. I also thought the title track, “Hole in My Heart” and “The Light of Love” are all in the same light; good, listenable rock tunes. However, I found the big surprise to be the penultimate track, “Red Hot & Blue Love.” This song goes against the flow of the rest of the album with a more guitar blues sound. The guitar solo is ear catching showing why Neil Geraldo doesn’t get the recognition he deserves. 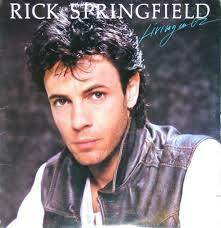 Once again, I find myself pleasantly surprised although my opinion of Rick Springfield’s later stuff hasn’t changed. This post has given me further ideas, there were other songs that were made to come alive when danced to by some of the ladies at the Driftwood. My mind flashes back to one named Beverly who made me appreciate REO Speedwagon’s “Take It On the Run” in a different light and there were others. The other thing was that experience has burned unique memories of certain songs and like in the case of Twinkles with “Jessie’s Girl,” got me to listen to the album more. 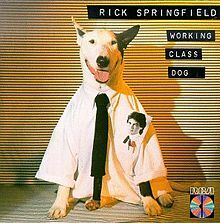 In the case of Rick Springfield and “Working Class Dog,” it was a nice surprise.